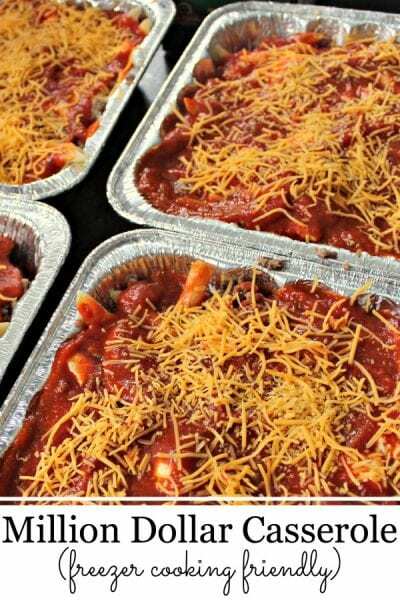 Home » Recipes » Main Dish Recipes » casseroles » Jiffy Cornbread Casserole – 30 Minute Recipe! 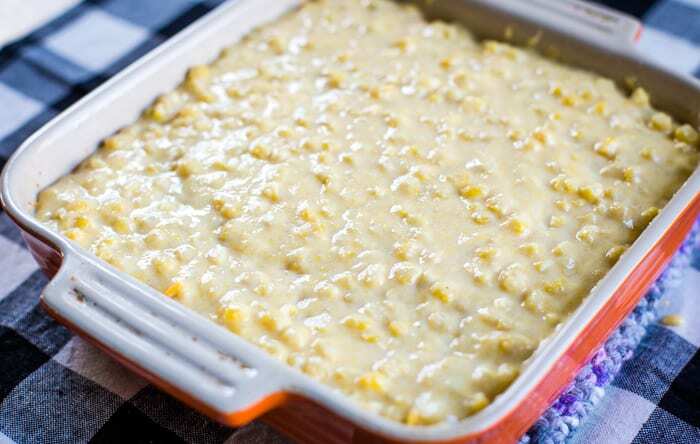 Jiffy Cornbread Casserole – 30 Minute Recipe! 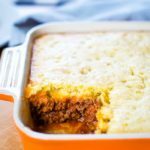 This Jiffy cornbread casserole recipe is easy to make with the layers of hamburger, cornbread and cheese. Packed with a rich hearty flavor, it’s the perfect weeknight meal. 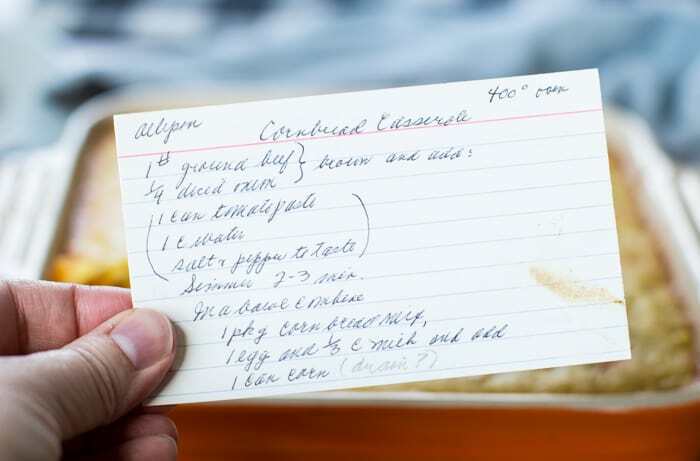 When I stumbled onto this Jiffy cornbread casserole recipe from my grandma’s recipe box, the first thing that struck me was that she had hand written on the card when she had served this to family. I just love it. Because of that, I knew it would be a great recipe because it had been made multiple times. 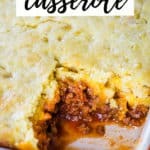 Why this ground beef cornbread casserole is the best! It can be made from start to finish and on the dinner table in 30 minutes. 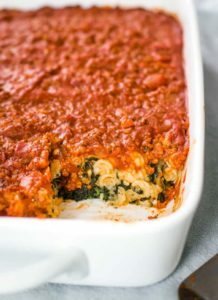 It’s an all in one casserole which means with a side of peas or green beans, dinner is done! I love cornbread. I do. 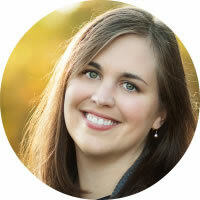 And so give me all the cornbread casserole recipe ideas and I will love them all. Step 1: Brown the ground beef with the onion. Drain the fat. Step 2: To the ground beef and onion add tomato paste, water and salt and pepper to taste. Simmer for 2 to 3 minutes. 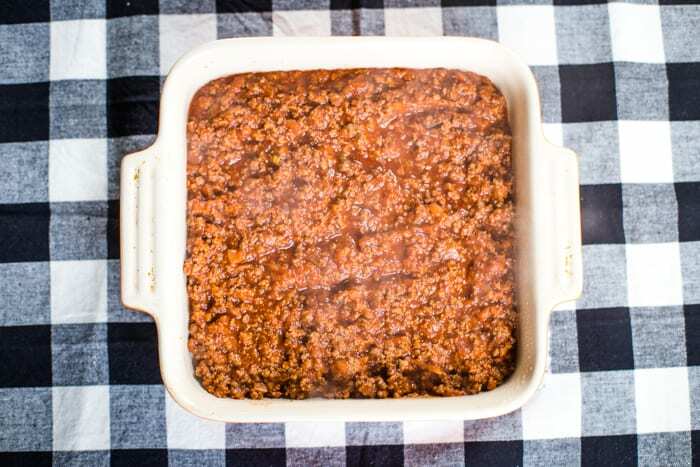 Step 3: Grease an 8×8 pan and add the ground beef mixture. In a separate bowl combine a package of Jiffy cornbread mix, corn, milk and an egg. Step 4: Sprinkle with cheese and then cover with the cornbread batter. Step 5: Bake in a 400˚F preheated oven for 15 to 20 minutes or until the cornbread layer is fully cooked. Serve this delicious, hearty and savory casserole with green beans or peas. I loved the combination of the sweetness of the homemade tomato sauce layer with the cornbread. Because as I mentioned, I love all things cornbread. Enjoy! 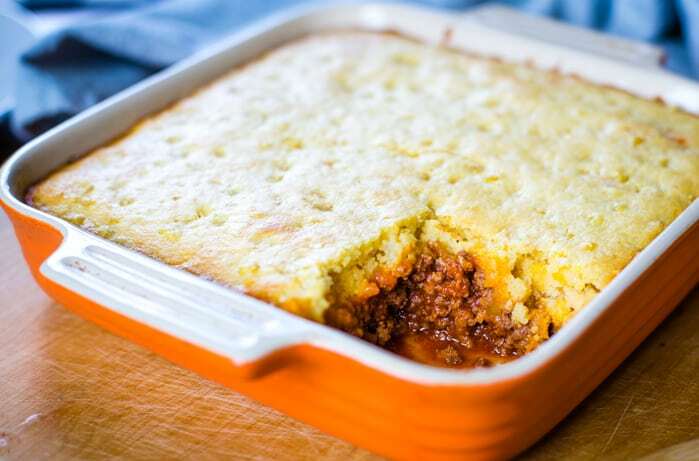 How do you reheat the cornbread casserole? 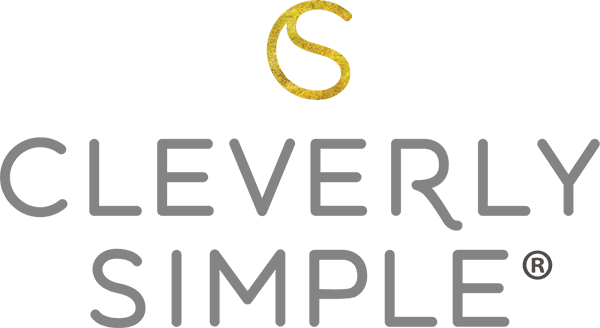 Leftovers can be reheated in the microwave. Fresh is always better, and you’ll lose a bit of the crunchy cornbread topping, but the flavors will still be delicious. 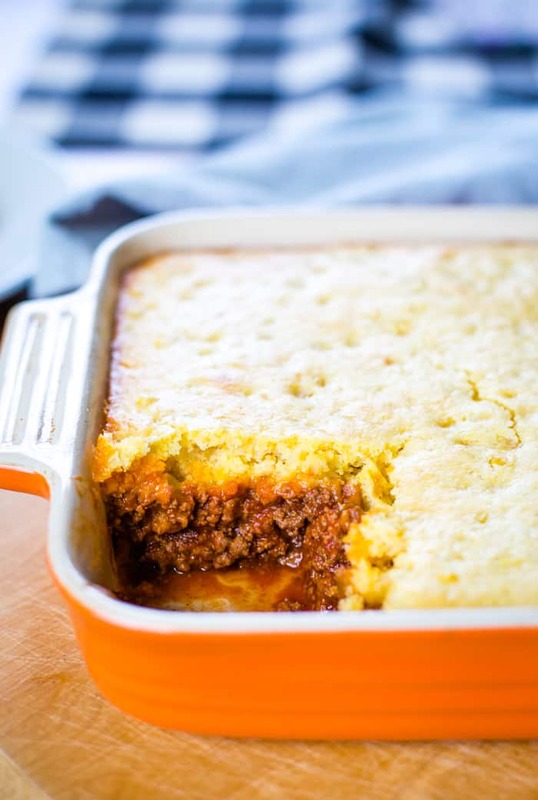 Does cornbread casserole need refrigerated? Yes. Put leftovers in the refrigerator until you’re ready to reheat. 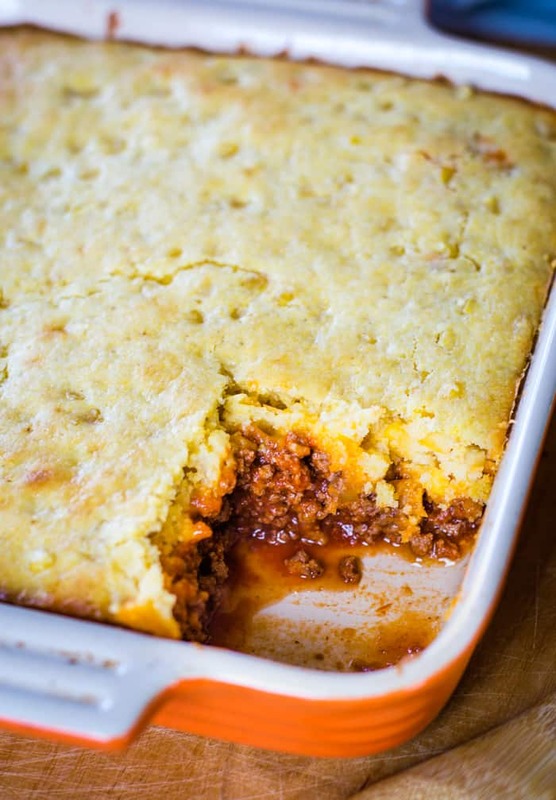 Easy Jiffy cornbread casserole recipe made with hamburger beef, cornbread and cheese. A rich in flavor, hearty weeknight dinner that can be made in 30 minutes. Preheat oven to 400˚F. 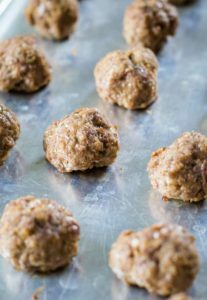 Brown the ground beef and onion until fully cooked. Drain the fat. 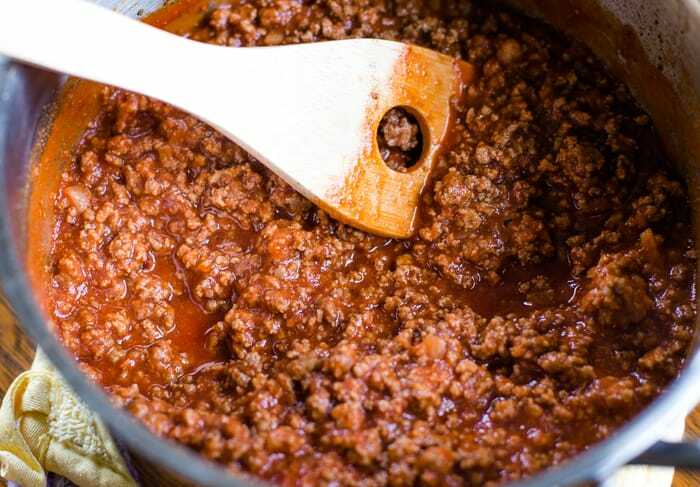 Add tomato paste, water, salt and pepper to ground beef and onion. Simmer for 2 to 3 minutes. In a bowl, combine cornbread mix, egg, milk and corn. 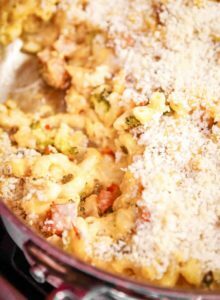 Grease a 8×8 pan and add the meat mixture. Sprinkle with cheddar cheese. Cover with cornbread batter. Bake for 15 to 20 minutes or until cornbread is fully cooked.